An assassin with a conscience, a cop who doesn’t care about collateral damage and a lounge singer suffering from blindness due to being caught in a crossfire. 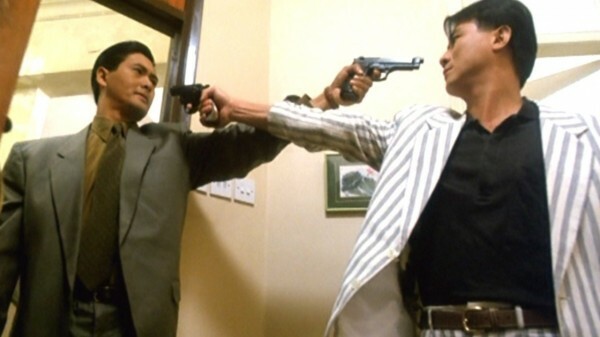 These three characters are the center of this entry on the 101 Action Movies list, and John Woo’s first appearance on it. 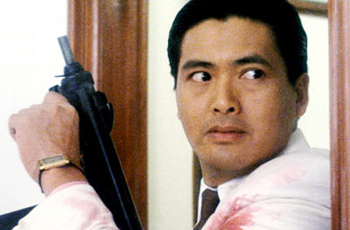 Chow Yun-Fat plays Ah Jong, an assassin who works by a strict moral code, so when he accidentally blinds singer Jennie (Sally Yeh), he feels responsible for her, and takes on one last job to use the money to afford the operation to restore her sight. In hot pursuit is Inspector Li Ying (Danny Lee), who is a bit of a loose cannon, but is smart enough to suss out the connection between Jennie and Ah Jong. When Ah Jong’s identity is exposed, the crime boss who hired him feels he is too much of a loose end, and orders his termination. Now on the run from the cops and the criminals, he is relying on his manager Fung Sei (Chu Kong) to retrieve his money so he can make his escape with Jennie. Everything you would expect from a John Woo movie is here, a slick fast-moving plot, fun characters, and a ballet of bullets and guns, two-fisted of course. Woo has a knack for turning his action sequences into a dance, making for balletic and acrobatic scenes, and it is all on display here, as Ah Jong and Li Ying take on each other and all comers as they end up in the center of a hailstorm of bullets, blood and violence. 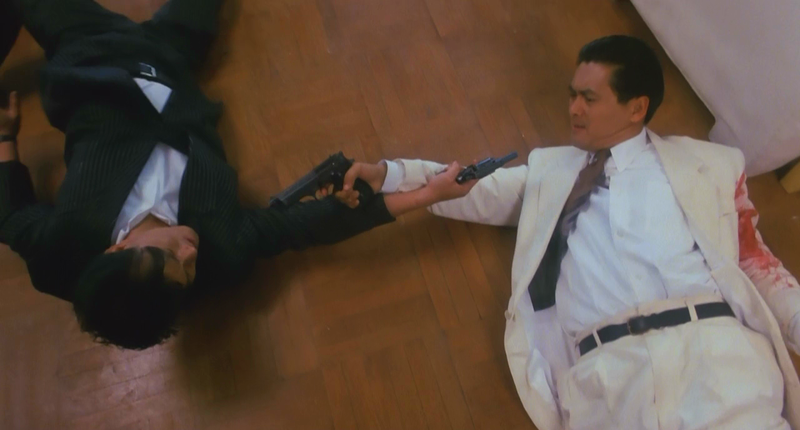 I love a good John Woo movie, my personal fave is Hard-Boiled, but The Killer is definitely up there, and Chow Yun-Fat is fantastic despite not being a fan of violence. Like most Woo action films, the film is completely over the top by the start of the film, and does nothing but ratched everything higher and higher as the story progresses. Despite that the core of the story is Ah Jong and Li Ying’s growing respect for one another, if not outright friendship, and the orbit they form around Jennie in their now shared desire to get her away and have her cornea repaired before she goes completely blind. No matter what you think of the stories that populate his films, some of them are rather shallow, you can’t deny that the man, using his love of musicals, can craft an action sequence. It brought a whole new look to action movie violence, as the styles and actions were often imitated but never equaled. The editing, and styling of the film are decidedly Eastern, and add a perfect flavor to it, and of course, when viewing it, make sure you’re watching the subtitled version (and make sure your subtitles are right referring to the characters by their correct names and not Jeff or John). What John Woo film would you recommend?